Branding and positioning require a rigorous, and sometimes brutal evaluation of a product, service or identity. It is not only essential to look within, but also to evaluate the shifting competitive landscape and industry drivers. A. Lavin Communications BrandConnect is a framework which we customize and deploy for our clients’ products, services or organization identity. We help small companies better understand their customers and focus their messaging and strategy to have a greater, lasting impact. For non-profits we help determine the value proposition they offer donors. Following this process, we then implement development of a communications program that includes thought leadership, sales communications, digital and social marketing as well as media relations. Our MediaGenics media training program helps align key executives to ensure that their messaging is in sync and that they deliver key copy points as media opportunities arise through our efforts. Earned and paid media efforts, at the conclusion of this process, are more productive with solid branding, and consistent messaging followed by a comprehensive and aggressive media strategy. A. Lavin Communications has decades of experience preparing fearful executives, bombastic celebrities and self-absorbed researchers to succeed in media interviews. Just because you have something new to talk about – a product, a service, an issue – doesn’t mean you know how to get your point across in media interviews. A. Lavin Communications ensures that you become a much more effective spokesperson, brand advocate or industry expert. Proprietary qualitative data research on industry opinion and trends, gives you a big leg up. Media, analysts and other industry influentials will seek out you information, and that puts your organization a few rungs higher on the leadership ladder. We create, design and implement ongoing newsworthy survey research programs designed to start a conversation, highlight an issue or change perceptions. Small companies can have a large impact developing proprietary data giving them equal or stronger footing in communications against their less nimble competition. Opinion surveys also are an effective platform for thought leadership, content creation, speaking opportunities and sales information. Few agencies do it better. 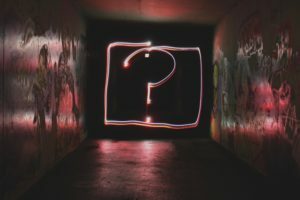 We can recommend exciting, newsworthy, brand-building research programs for you to help connect your organization in way your competition can’t. Media relations has never been more complex or fragmented. Call it “earned media,” “publicity,” or “public relations,” new global media outlets are started every day, and build momentum quickly. You need a team that can handle that. The ascent of highly targeted outlets and numerous social media platforms requires an intricate strategy that combines expert media relations skills with logistical adroitness to meet the minute-by-minute needs of reporters, twitterers and and influential bloggers. A. Lavin Communication’s clients seek our expertise to garner top-tier media coverage –and we consistently deliver. Our experience is measured in decades. Our longstanding contacts, seasoned and strategic expertise are highly valued. After all, this isn’t kid stuff. Whether we know the reporter for 10 years or 10 minutes, we understand how to capture a their attention in just seconds to garner the coverage you require and desire. One negative or inappropriate tweet can put an entire company, its product and its valuation in jeopardy. Are you prepared for a disgruntled employee to destroy your reputation online, a product malfunction to cause problems or injuries? Or perhaps a long running lawsuit that calls into question the company’s longstanding credibility? Probably not. While no one can foresee every crisis, our team will develop a customized well-thought out crisis media blueprint to predict, prepare and prevent. Of course, we can also hit the ground running to establish a strategy and quickly implement a multi-tiered crisis action plan to mitigate “too little too late.” After all, the media won’t wait for you to get your act together. Airlines, universities, corporations – we’ve handled all manner of crises for many clients. When legal action is a component of the issue, we handle the court of public opinion and work with counsel through the litigation process. 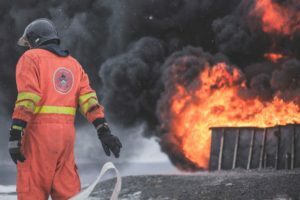 Remember, a strategic proactive crisis communications plan, well-executed, is far less expensive than a legal entanglement and irreparable damage to an organizations’ reputation. 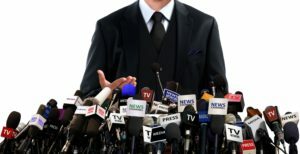 Social media and traditional media relations must be integrated to maximize any announcement or communications effort. Earned media relations builds awareness, while social media builds community and micro brand relationships. 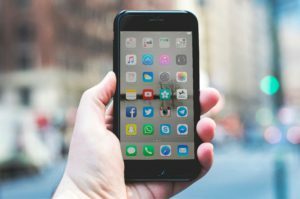 We help many companies that don’t have the bandwidth resources or content to implement a focused social media effort which are critical to building brand relationships. In addition to creating and repurposing content we believe a picture is worth 1,000 likes and video is worth 10 times that. Let us help provide the solution to your social media effort whether it’s for B2B, B2C sales channels. You set standards. 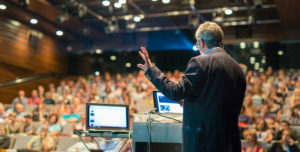 You keynote industry events with visionary C-Level speeches and publish white papers. But, at the same time, you’re so busy, you barely have time to think. A. Lavin Communications can think for you or draw out those flashes of brilliances. Those insights can and should be developed into content that reinforces you market position, or helps drive you up the food chain. Let us help better connect your thoughts. 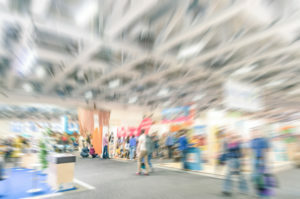 A comprehensive trade show strategy is critical for success. Far too many companies decide they need to attend a show without a plan in place to develop sales and floor traffic, and capitalizing on media attending that will be interested in your products and innovations. Are you speaking at the show? Do you have a press conference arranged? What’s the use of a great looking booth with great products if no one knows about them beforehand? This requires months, not weeks of planning. Let us help you create buzz and formalize a trade show approach that is high-impact yet cost-effective resulting in efficient sales efforts, greater awareness and productive follow-through.